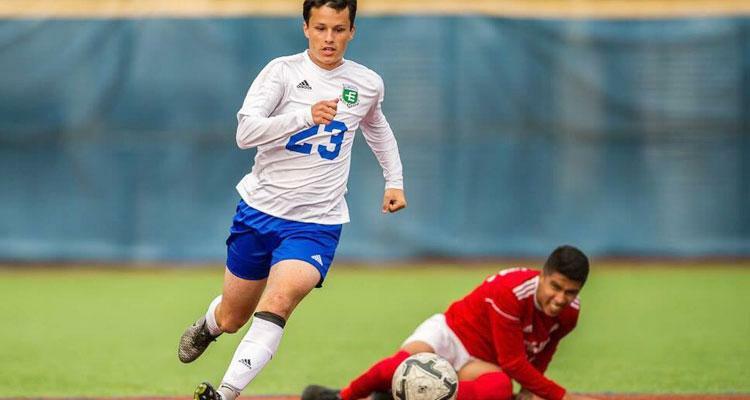 The Edmonds CC men's soccer team won the NWAC championship in 1981 and has earned seven league titles, including recent crowns in 2011, 2012 and 2014, as well as 13 top 4 finishes at the NWAC Tournament. 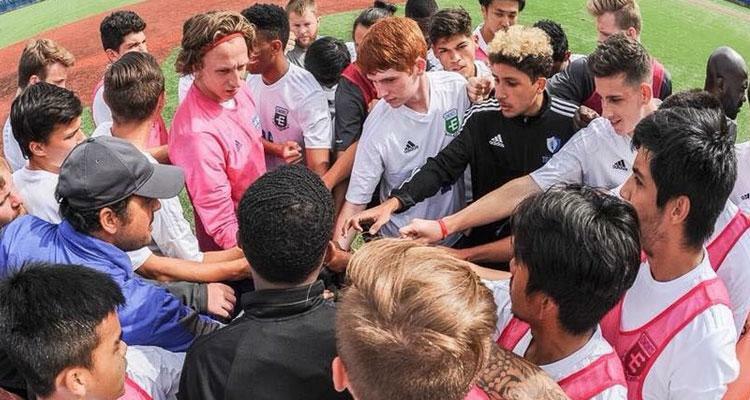 LYNNWOOD (Oct. 27) -- The Edmonds CC men's soccer team knew they were out of the playoff race headed into Saturday's final match of the season, but that didn't stop them from upsetting the playoff-bound Peninsula College Pirates. The Tritons defeated the Pirates 1-0 on the Triton Field pitch in dramatic fashion to end the season on a high note. The sophomores led the spirited effort and did not let up for all 90 minutes. Bryce Foland (Snohomish, Wash.) broke through in the 49th minute, making best of an opportunity set up by Kyle Aure (Edmonds, Wash.). The goal stood up as the Tritons and Pirates went scoreless the rest of the way. Colin Hauser (Boise, Idaho) was outstanding in goal turning away five shots, and earned his fifth shoutout of the season. On September 19 Edmonds CC men's soccer trailed Skagit Valley 1-0 early on, but rallied to score three goals and put the Cardinals away 3-1 in Mount Vernon, Wash. Sophomore Kyle Aure (Edmonds, Wash.) notched his first two goals of the season to lead the comeback. Freshman keeper Colin Houser (Boise, Idaho) had seven saves to preserve the win. Taishi Adachi (Amagaskai, Japan) was responsible for both Triton goals in a home triumph over Shoreline on September 15. Adachi's follow up after a missed chance on a penalty kick in the box was the difference in Edmonds' 2-1 win. 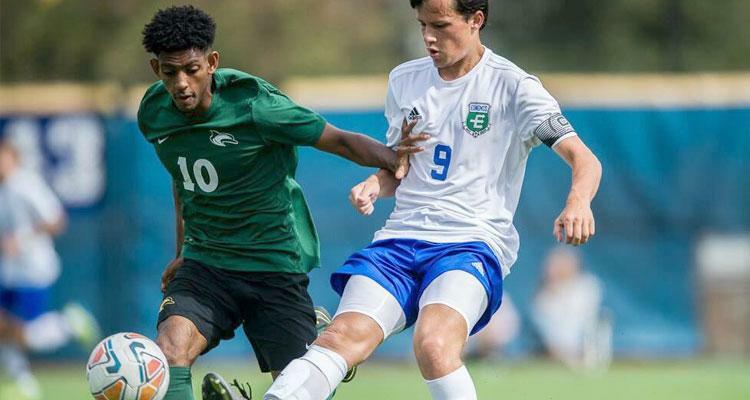 Edmonds took Peninsula to the brink on Saturday; the Pirates broke through in stoppage time to sneak out a 1-0 win on a day where the rain was relentless. After the first go round through the North, men's soccer is right in the mix with a 2-2-1 record in region play.